HCM City (VNA) - HCM City’s annual sales promotion month from September until the end of the year is expected to boost retail sales and attract a large number of foreign visitors. According to the Department of Industry and Trade, this year’s event is expected to involve 3,000 trade centres, supermarkets, convenience stores and traditional markets and 5,300 business households, a significant increase from last year. They will organise around 12,000 promotions focused on consumer products, electronics, fashion, foodstuff, cosmetics, telecom services, interior decoration items, tourism services, hotels, and others. Besides offering discounts, participating establishments will also offer freebies, lucky draws and free samples. The department said all 24 districts had completed the task of putting up banners to promote the programme. There are usually many programmes during the month, including an online promotion week, a promotional month fair at the Phu Tho Indoor Stadium, the Diem hen Sai Gon (Saigon meeting place 2017) programme to introduce products made by traditional villages and craft artisans, and several others. Nguyen Phuong Dong, deputy director of the department, said the promotion month would begin with the Hoi tu hang Viet (the convergence of Vietnamese goods) event. 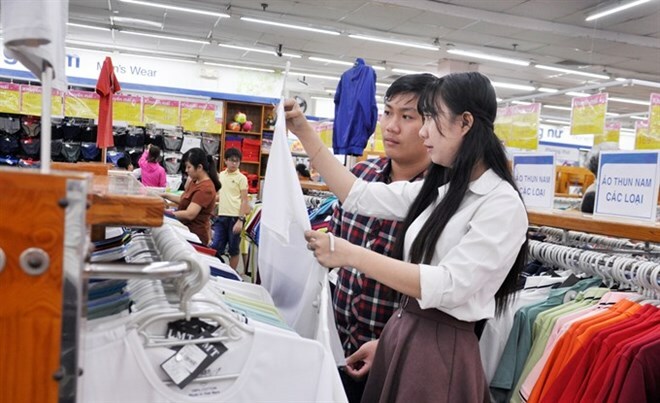 To be held for the first time, it will provide Vietnamese companies with an opportunity to showcase quality products that meet export standards. Over the last 12 years, the promotion month has become one of the city’s key trade promotion programmes.